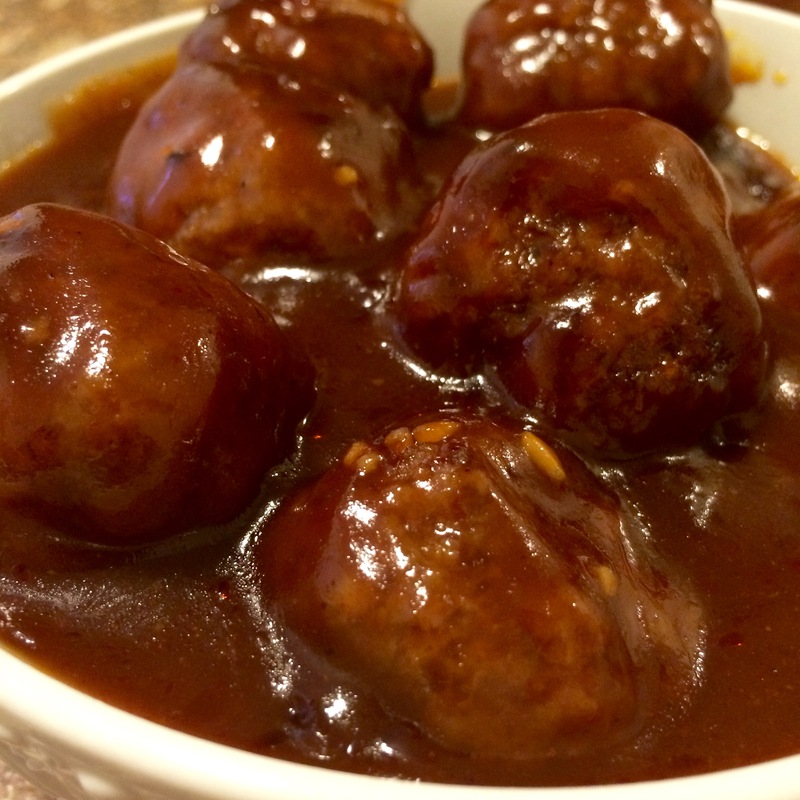 BBQ Meatballs make a great appetizer any time of the year. Whip up a batch of juicy homemade meatballs for New Years Eve in about 30 minutes, and let them slow simmer in the crockpot all day. 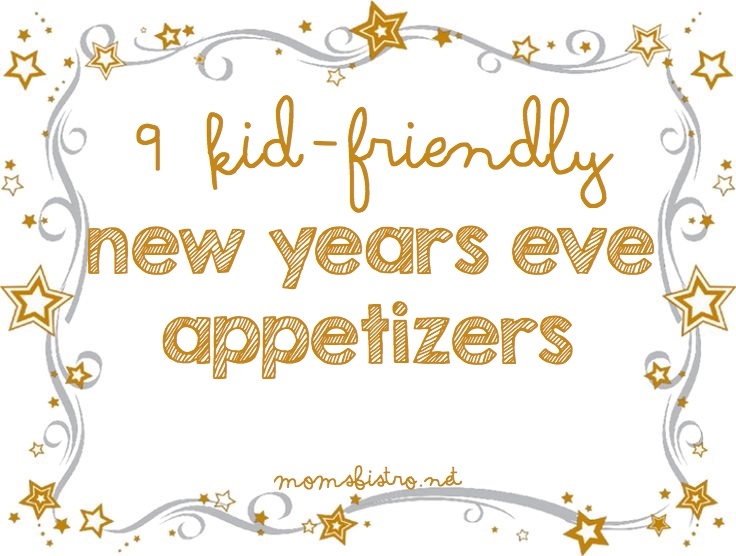 For other awesome New Years Eve Appetizer Recipes, scroll down to the bottom! 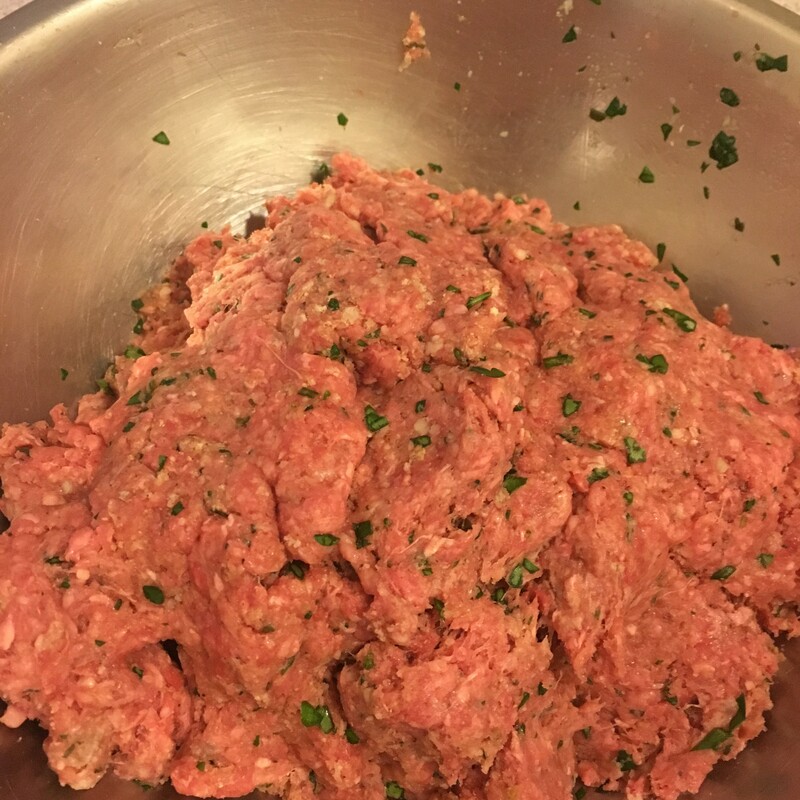 Growing up, we always had Meatballs on New Years Eve since we were always going to a party somewhere. 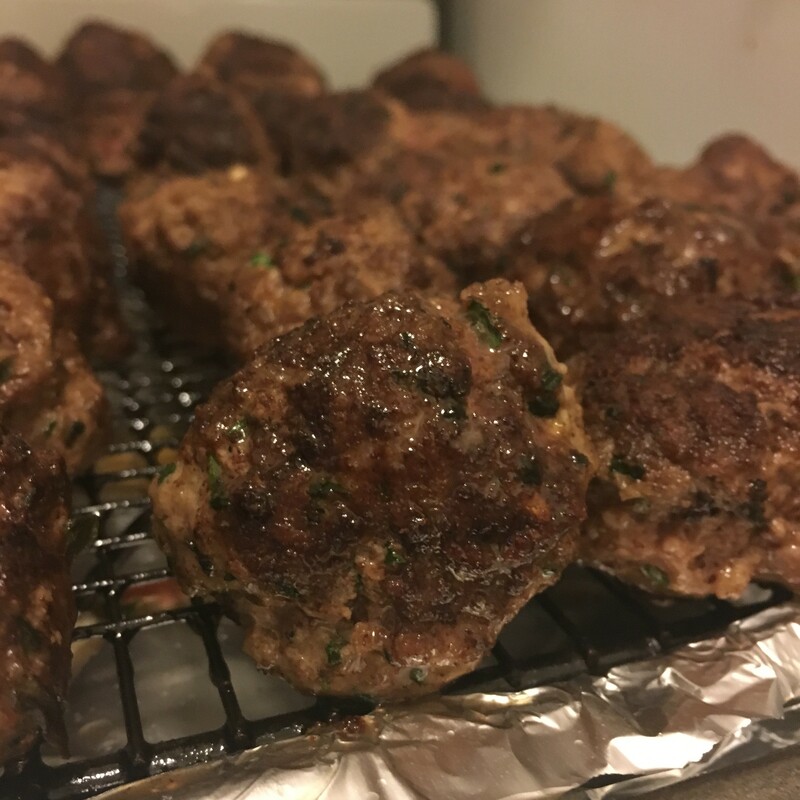 For these BBQ Meatballs, I used my favorite Meatball Recipe and Homemade BBQ Sauce and if I have it available, I cook the meatballs in leftover bacon fat. 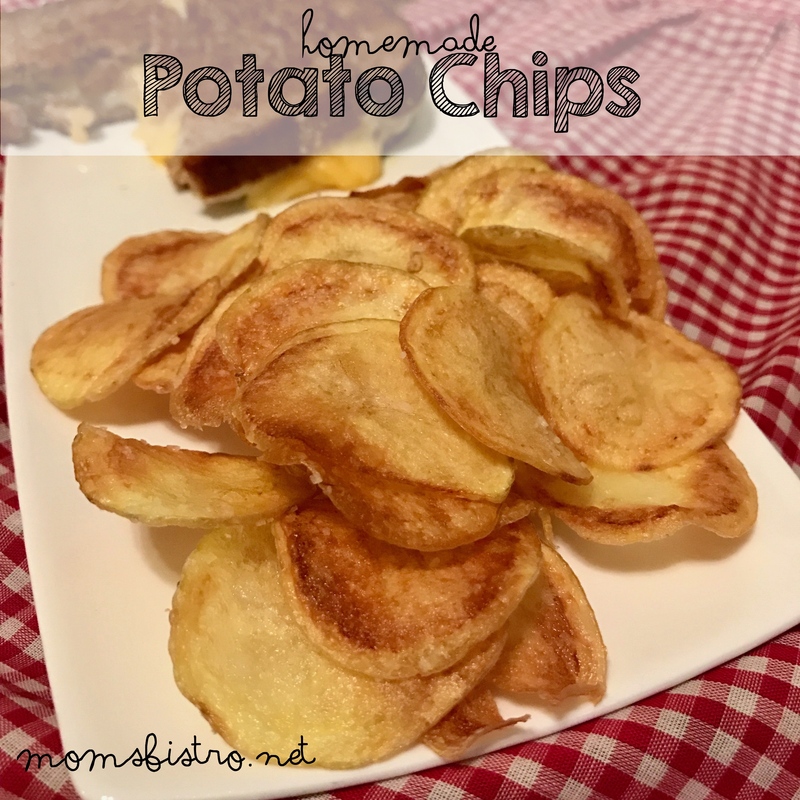 In a small bowl, mix bread crumbs and parmesan cheese. Set aside. 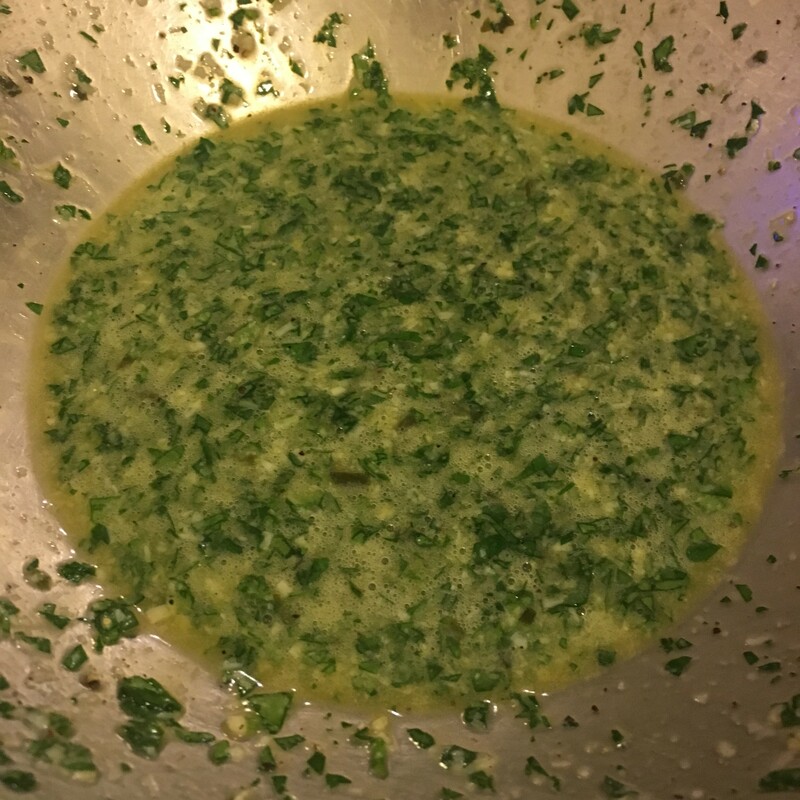 In a large bowl whisk eggs, garlic, salt and pepper and parsley until light and fluffy. 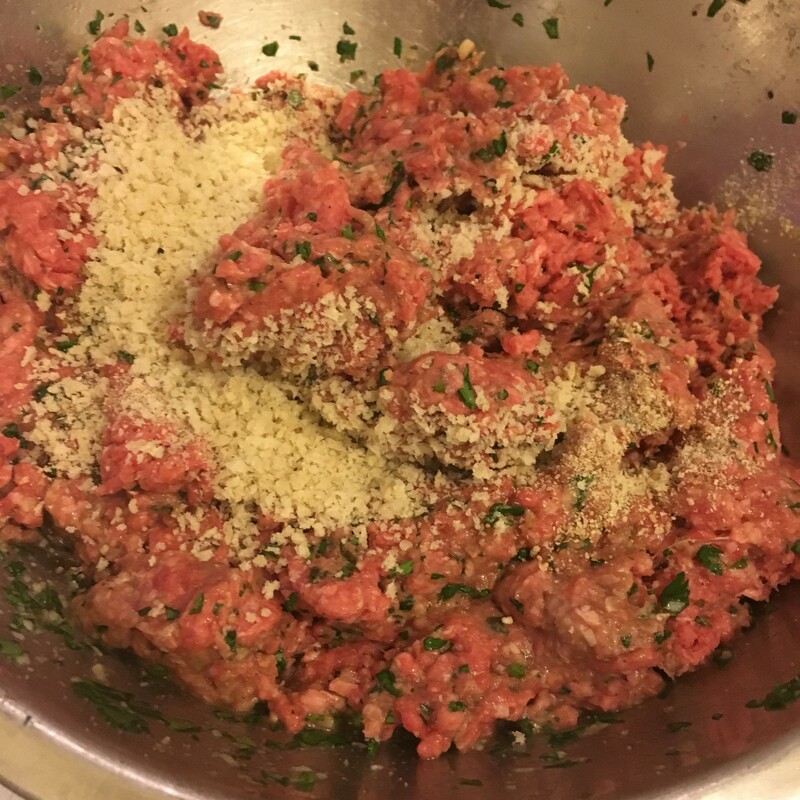 Mix in ground beef into egg mixture. Slowly add in bread crumbs, folding meat in as you add the bread crumbs until you can’t see the bread crumbs anymore. 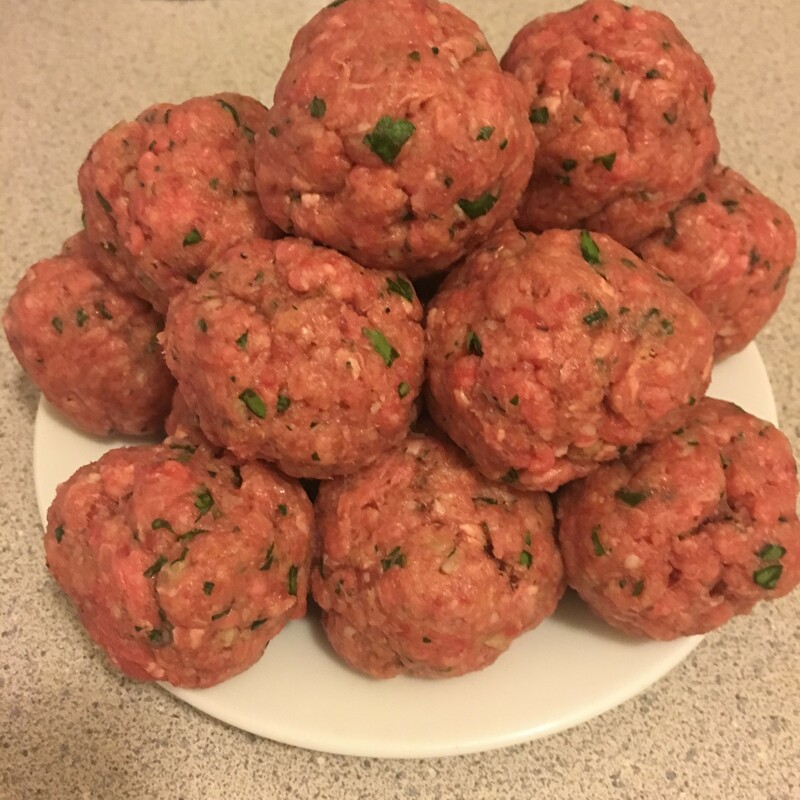 Roll into meatballs – about 2 tbsp balls for appetizers and 3 tbsp balls for dinner. In a large skillet over medium-high heat, heat 2 tbsp olive oil or bacon fat until shimmering. Add meatballs being sure not to crowd the pan, and cook on all sides. 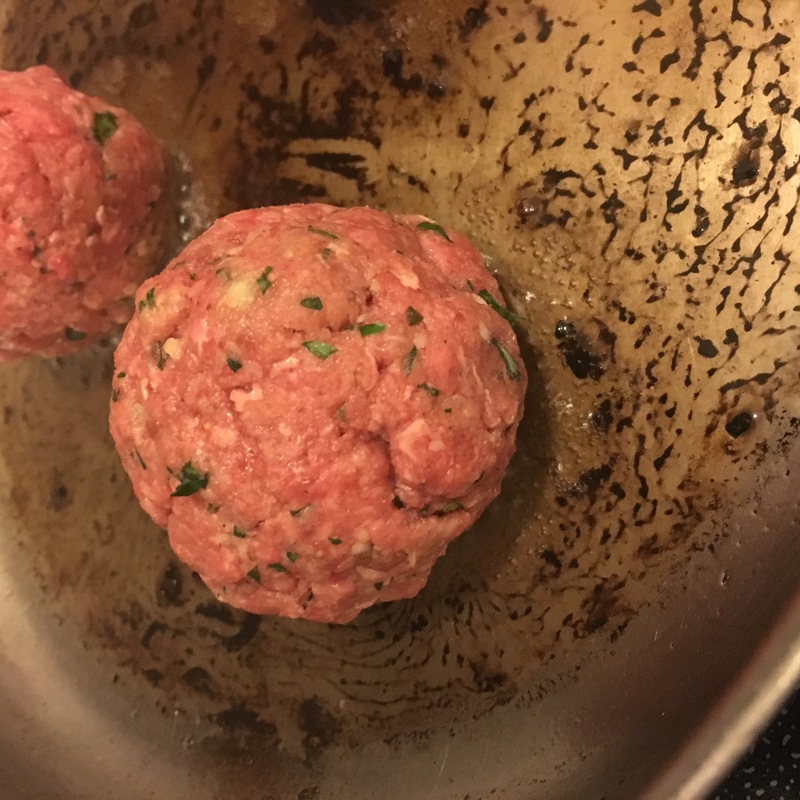 Place on a cooling rack to drain as you cook the remaining meatballs. 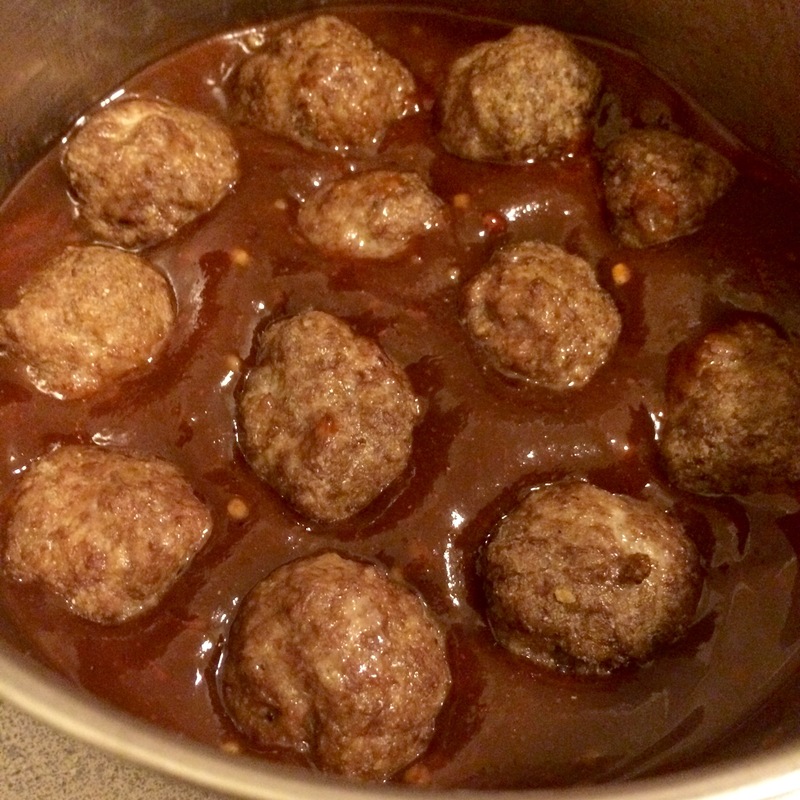 Once meatballs are cooked, lower heat to medium and add 1 cup of BBQ sauce. 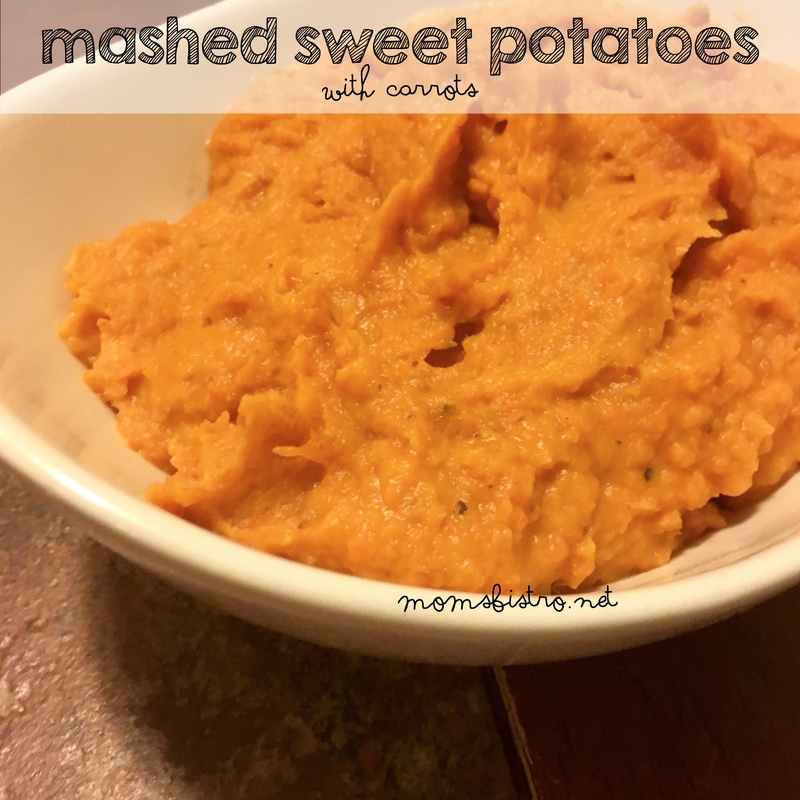 Use a wooden spoon to scoop browned bits off the bottom and then dump into the base of crockpot. 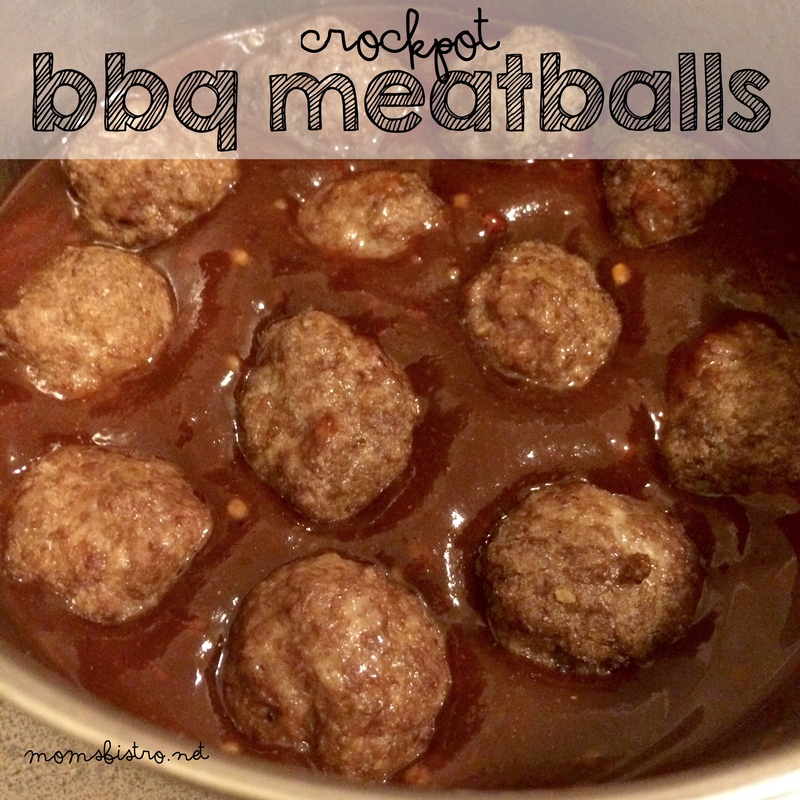 Add remaining BBQ sauce to crockpot and place meatballs evenly across the bottom of the crockpot. For the Chicken BBQ Meatballs Recipe, click here.